Windows 7 in easy steps is a concise, yet comprehensive, guide to the latest version of Microsoft Windows and the successor to Windows Vista. It cuts out the waffle and gets straight to the point, in the usual In Easy Steps manner. and fonts, networking and home groups, and Internet access. It reviews the Windows 7 interface, including the new Taskbar and Windows Aero, and discusses system activation and validation, backup, security and Windows Update. 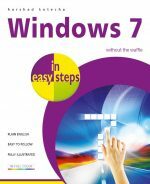 It also covers the new Windows Live Essentials such as Messenger, Mail and Photo Gallery, and explains how to incorporate these into your Windows 7 system. 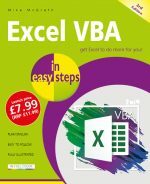 This book will help you quickly become productive with your Windows 7 system, whether you're upgrading from an earlier version of Windows or this is your first experience with Windows. Harshad Kotecha is a successful author of the popular Windows in easy steps books, with each edition becoming a best-seller on the subject. He is a Computer Science graduate with extensive experience in computing and programming.